This wonderful, Celtic County is rich with legend and History. According to legend, St Piran, the Patron Saint of Cornwall was washed up on the sandy shores of Cornwall at Perranporth beach. Under the order of the Irish King (who was suspicious of Pirans powers) Piran was cast to sea off the Irish Coast tied to a millstone. Piran decided to build an oratory here in Perranporth to promote Christianity and the story goes that his first disciples were a badger, a fox and a bear! The oratory is now preserved in the sand dunes at Perran Sands. 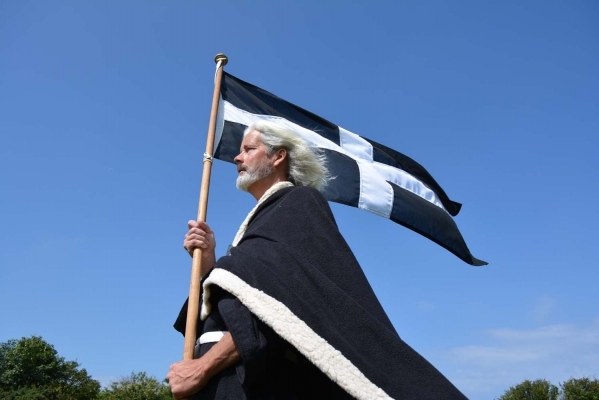 St Piran then became known as the Patron Saint of Tinners after accidentally discovering the metal that has now become the backbone of Cornish industry. The Cornish flag as we know it today represents the black granite that rolled from his fire one night with the white tin oozing from it. St Piran's day (5th March) celebrations continue to grow in popularity with the annual St Piran Play on Perran Sands (usually held on the nearest Sunday) being a highlight. Hundreds of people make a pilgrimage to Perranporth and the site of the oratory every year.